Disaster seems to always happen to other guys. Now WE ARE the other guys. 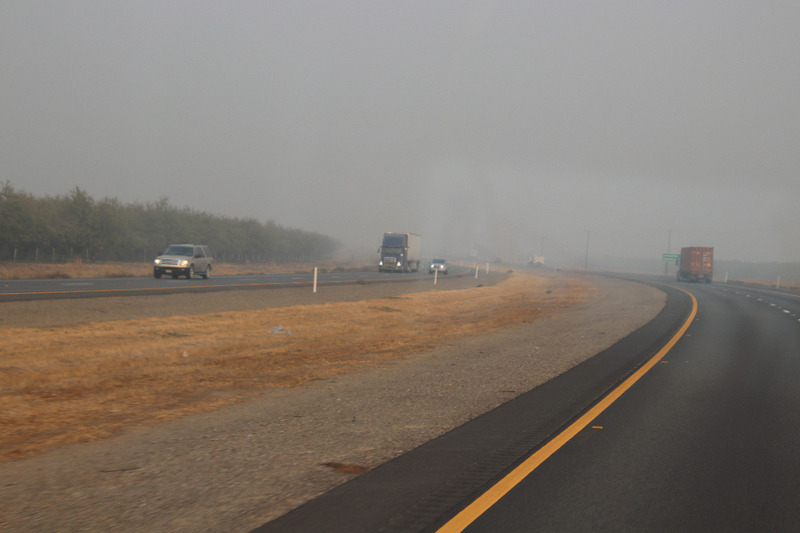 Our homes, lifelong memories, and in some cases, the lives of loved ones are lost to these catastrophic wildfires. Our merchants are rocked – with the loss of merchandise, their locations, and worst of all, their customers. 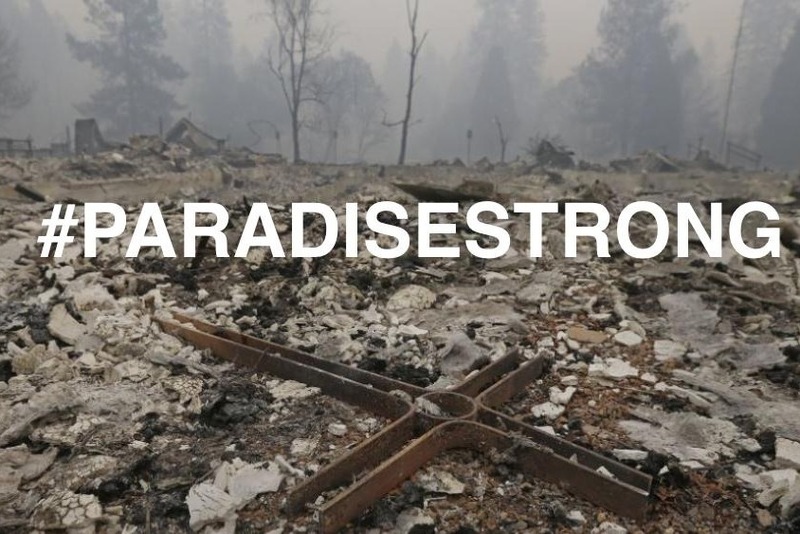 But we are Paradise Strong! Even as the embers glow, as the fires rage, we are in the first steps of recovery. 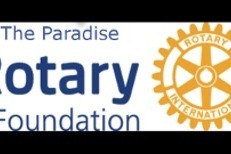 Rotary Club of Paradise launches this site to collect contributions from generous family, friends, and neighbors who have never met each other. The contribution you make is tax deductible via our 501(c)(3) Paradise Rotary Foundation. All of your contribution – 100% of it – goes to people in need, fire victims and heroic first responders who are helping us in our time of need. We will use this money to help people get back on their feet. We will provide people with gift cards so that our merchants – and their employees – can survive, too. 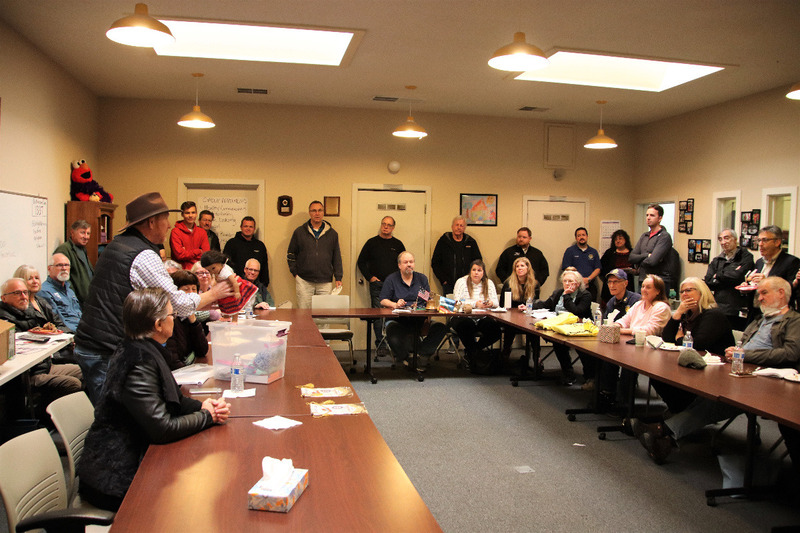 With your generous support, all of those affected by the wildfires in Butte County will start to rebuild their lives, to replace the material things they’ve lost, to help others in our communities. With your generous support, we will rebuild our community – our neighborhoods, our businesses, our playgrounds, our churches, and everything else that’s so easy to take for granted... Until it's gone. That’s because we are Paradise Strong! We appreciate your generous tax-deductible support. 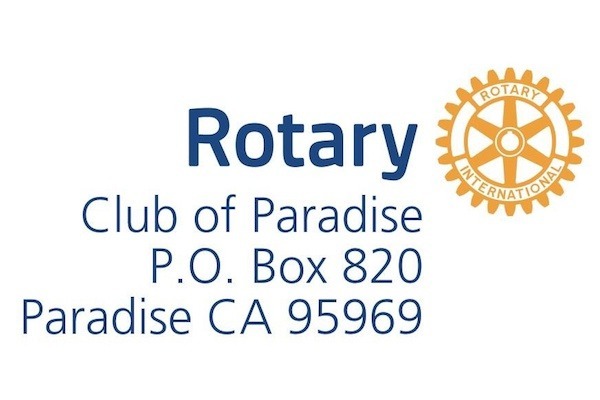 The Paradise Rotary Foundation in cooperation with Youth for Change will be distributing Visa gift cards Thursday, 10 January 2019, 10am to 1pm at the Youth For Change office in Oroville at 2856 Olive Highway, Suite D, Oroville, CA. and Friday, 11 January 2019, 10am to 1pm at the Youth for Change office in Chico at 2580 Sierra Sunrise Terrace, Suite 100, Chico CA. 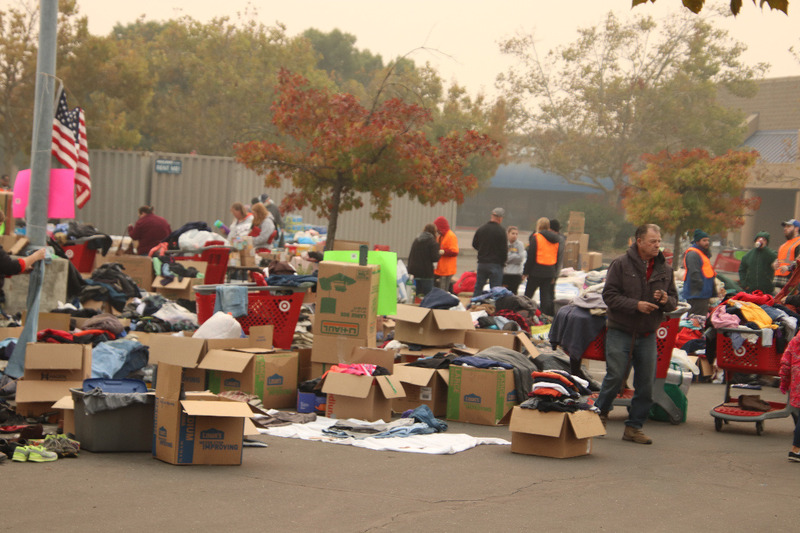 To receive a $100.00 gift card you will be required to show ID, complete a form to certify that you owned or rented a home destroyed in the Camp Fire in the 95969, 95967 or 95954 zip codes and had no Insurance and/or were employed by a business in these zip codes and your employment was affected by the fire. 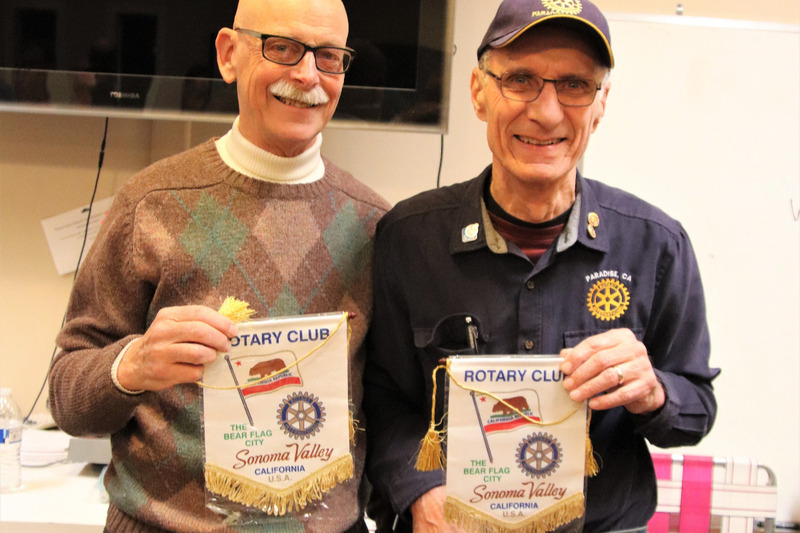 Paradise Rotary "People of Action"
Sonoma Rotarians Gary Edwards and Shah Malik delivered food and gift cards to Rotary Club of Paradise California the week after the first began. And they also included the club banner that's traditionally exchanged when a member visits another club. 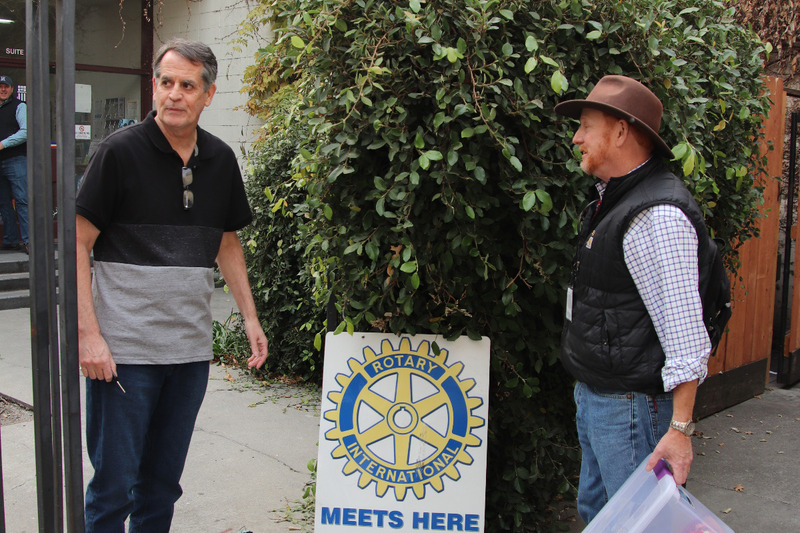 Sonoma Rotarians visited Butte County before the rains finally came to help firefighters control the Camp Fire... 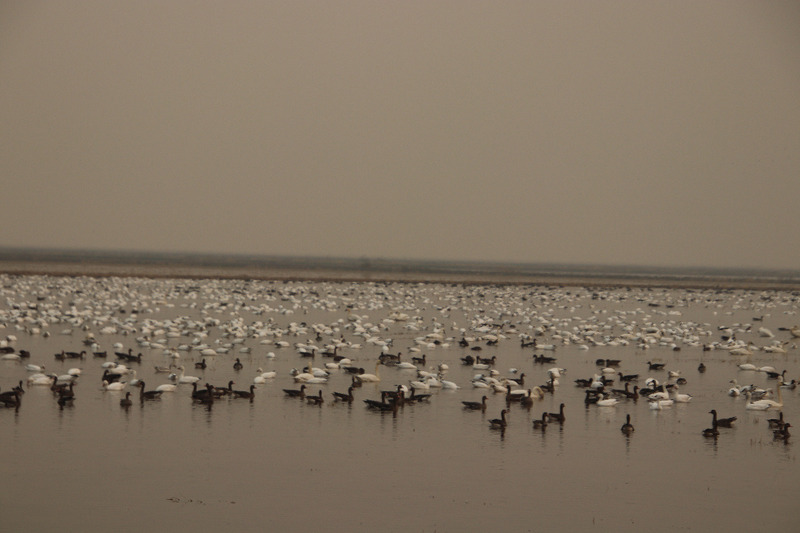 These are images of conditions on the drive up - and of a relief station there.